Do you want to invest your money more safely? Here is one of the best options for you. 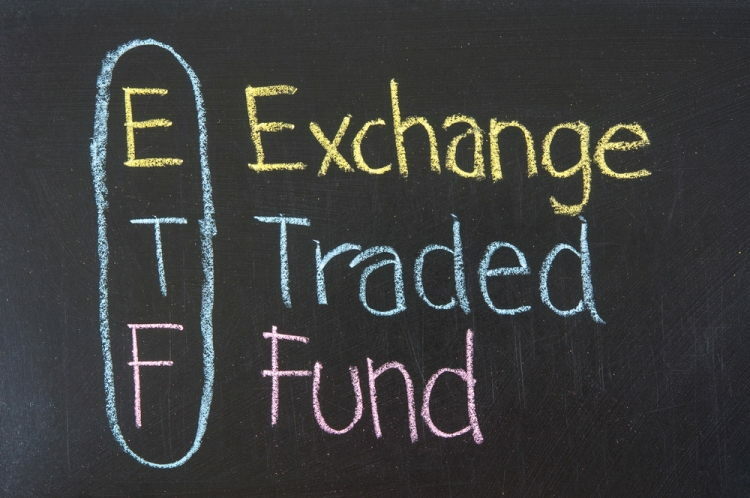 ETF i.e. Exchange trade funds are one of the safe way of investing your money in equity market. It is an investment fund traded on stock exchange, much like stock. These are attractive investments because of their low cost and stock like features. It offers both tax efficiency and lower transaction cost. Exchange Traded Funds are a basket of securities that are listed and traded on a recognized stock exchange. Simply, they are mutual funds, whose units can be bought and sold on the stock exchange. Given that an ETF is traded on the stock exchange, its price may not necessarily be the same as the NAV of the underlying portfolio. In other words, an ETF could have an NAV distinct from its market price. The reason being that the market price is usually driven by the demand and supply of units. Hence there is a distinct possibility of an Exchange Traded Funds units trading at a premium or discount to its NAV. For Example Nifty BeES , whose underlying is NSE , may not have same price as its underlying , For example if Nifty is 4500 , it may be possible that The ETF’s value is 4600 or 4400 , depending on the sentiments and expectations. Exchange Traded Funds are just like stock exchange. For that you need to open a Demat account by any medium like through bank, online brokers or through any consultancy. Check for the prize value of the share so that you will know which of them are in your budget and then you can buy or sell your shares at any time you want to. It is so easy like suppose you buy some shares at 10:30 in the morning and sell it at 12 pm. then again you can buy another shares after lunch. ETF’s are the low cost simple solution for the generating good returns from stock market investment. The benefits of ETF are as Given below. ETF’s can be purchased with just a single transaction. In EYF’s you are buying mini portfolio’s so it is way more easier than buying a basket of Indexes. Commissions are generally low on ETF as compared to the other tools. Besides this it there is no load fee’s and managing fee is also very low. The most important thing of your investment is transparency. You should know where have you invested your money and how’s it performing. In Exchange Traded Funds, your portfolio details and underlying are publisher daily. Gold ETF’s are the simple investments products that combines flexibility of stock investment and simplicity of Gold investment. Gold ETF’s are different from Gold savings. IT tracks Gold prizes. Gold ETF’s are one of the best form of Gold Investments. Earlier investors used to invest in gold in metal form. Then comes paper bond and now you can invest in gold through electronic form. Flexibility in buying Gold. Like one can buy in smaller lot. No security concern like in physical form. Transparent pricing and potentially cheaper. Can track your investment values in real time. No wealth tax like in Metal form. 1. ETFs tend to be more cost-effective vis-a-vis comparable mutual funds. The expense ratio of a passively managed ETF (tracking a benchmark index) would normally be in the range of 0.50%-1.00%; for an index fund, it can be as high as 1.50%. And for mutual funds the entry load is 2.25% . 2. ETF’s can be bought and sold anytime during the market hours , unlike the Mutual funds NAV at the end of the Day. 3. Given ETFs are traded on the stock exchange, and can be bought/sold on a real time basis; they tend to have low tracking error (deviation of ETF’s performance from that of the underlying index) as compared to index funds. While promoting ETFs it is argued that their 1% edge of expense ratio over mutual funds will be significant if it is compounded over a long period of time, say 20 years. So this advantage of less expense ratio is not there if the calculations in the previous comment are true. What I am trying to say is that the only advantage that ETFs have is that they are like mutual funds that will guarantee market related returns. Nothing less and nothing more. If you have any query related to this topic you can leave your reply in the comment section. ETFs are considered as one of the options to invest for passive investors and its one advantage is low expense ratio(near 0.5%) in comparison to mutual funds. However when one buys a unit of ETF a one time expense of 0.67%(including brokerage and other taxes) occurs and the same would be at the time of selling. Wouldn’t the whole expense of buying and then selling a unit of ETF come to 1.84% (.5+0.67 +0.67)?. This is similar to one of the best managed mutual funds. Yes it may be , but what is the point you are making ? You can include this very important comment in your article and clear the illusion people may have about ETF that they are better than mutual funds in terms of cost!! As AP buys physical Gold the price of Gold will increase. Similarly as he sells fresh ETF units in the market, the supply of ETFs will increase. These two actions will lead to increase in Gold prices and reduction in ETF prices, thereby removing the anomaly in the prices of the ETF units and the underlying. Can you update this article with recent additional funds as it was posted in 2008 and the information availability of individual ETFs. Will soon .. Also I will come up with a new article . thanks for the intro to ETF..with the intial load gone for MF is ETF equal to MF now.. and i see in most forum people saying that agent(or brokers) generally dont sell ETF..why so they dont get anything? How will you compare ETF and MF? I am wondering about the cash flow of the ETF. I would like to know if I buy the ETF then who keeps the money I paid? BSE/NSE? In terms of normal stock if I buy a stock then money goes to seller and in term of Mutual fund the SIP premium goes to AMC. What happens in case of ETF, who keeps the money? ETF’s are nothing but a kind of share , which you trade in market , you its bought and sold in market , so just like a share , when you buy the ETF and pay money , the money goes to a random person like you who sold his ETF to you . what is the tax structure for ETF’s? Any short term or long term taxes involved…how much. Also what is short term and long term period for ETF’s? as of now its pure equity and hence tax same as shares are applied , 15% in short term (1 yrs) and no tax after 1 yr .
Nope , it should be 10% with indexation and 20% without indexation , I made mistake it seems . Pingback: How many Mutual Funds you should have ? If the ETF’s actual unit value may not trult reflect the underlying asset (Nifty for eg. ) as the units are traded like stocks, how can they have low traking error compared to conventional index mutual funds? For eg., an ETF based on the Nifty, may surge on demand, without actual increase in the Nifty, amounting to huge errors. The Nifty may be at 4400 but the ETF will be at 4700. So, how the ETF’s manage to have a low tracking error? No ETF has ever gone to those levels of difference . Maximum if nifty is at 4400 , Nifty ETF will trade around 4405 or 4395 . This is the range ETF trades in , Where have you see 4400-4700 level ? The day it happens , the tracking error will not be so low . I think you are confusing ETF with Futures . IS it ? no…i know ETFs dont go to those levels…but i am guessing that since ETFs have a finite no of units, like no. of outstanding shares of a firm, if new customers come in with their funds, the nav of these units should go up, isnt it? Manish, i checked some Sensex ETfs (Kotak Sensex ETF, ICICI Pru), there can be significant tracking errors ! As recently as in oct ’09, these ETFs were in great demand as the indices were thought to rise, so by demand and supply equation, the nav of these funds climbed up. You can buy the ETF;s from ICICI direct or any other brokerage account , ETF’s are same as shares . Let me know the source of where you got the information of high tracking error . and who is “Mohit” ? i forgot to save the link…but while i was researching i came thru this fact.. In your last reply (see above) you thanked “Mohit” , so i thought who is He ? Anywyas i will look at that . can we get loan by pledging ETF when in need from a nationalized bank? You can get loan on pledge of share and mutual funds . I have not heard about ETF ? There are lots of ETF’s available in the market . Some are more popular and hence more liquid than others , Check out the tracking error ? Tracking error is the mismatch between the actual underlying and the fund. Lower the tracking error better it is . You can trade nifty options, if you want to trade the overall market and not individual stock. Its recommended for people who can analyse and trade overall market like nifty , but do not have derivatives exposure . In future , there is going to be very very heavy volumes and liquidity in Nifty ETF’s because of new pension scheme launced by GOVT . Good to get an introduction on ETFs still want to know more about it. How do we select an ETF how do we profit what should we study about it?